Product training on the out-of-the-box capabilities of Dynamics 365 and related technologies through Dynamics 365 University. Process training with a team of experienced Learning Consultants who focus on the specific ways you’ll use Dynamics 365, providing training and materials tailored to your unique internal processes. Change Management services led by certified Change Management Consultants who help organizations navigate their digital transformation journeys. We offer public classes at our Corporate Headquarters in Minneapolis, as well as several other locations. If you have a group of users in need of training, we can deliver these classes at your office. We can also deliver a selection of these classes online with a virtual instructor. While our training catalog is rich with options, we know that many organizations have very specific and unique needs. With that in mind we offer an option to design-your-own training. You can pick and choose from an a la carte menu that includes 30 individual modules. We will work with you to assemble a tailored class made up of the modules that are the perfect fit for your business needs and deliver this training at your office. In addition to learning about product capabilities through Dynamics 365 University, it is equally important to invest in training and materials around your processes. This is where our Learning Consultants add value. When organizations invest in Dynamics 365, they are also investing in the behavioral changes that employees must make for the system to yield a return. 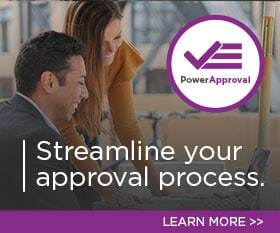 PowerObjects combines extensive Dynamics 365 experience with certified change management expertise to help organizations navigate this transition. Your master guide to help identify topics and themes as well as provide ideas for activities to build specific skills. Support instruction with visual representation of concepts before a live demonstration. These hands-on exercises are designed to outline step-by-step instructions to make each exercise easy to follow. Use the Quick Reference Guide to help learners and new users review the content of a specific task. These manuals provide all the steps needed to complete certain processes. Have you considered Change Management? When organizations invest in Microsoft Dynamics 365, they are also investing in the behavioral changes that employees must make in order for the system to yield a return. PowerObjects combines our Dynamics 365 and certified change management expertise to help organizations navigate this transition. While our course catalog is rich with options, we know that many organizations have very specific and unique needs. We will work with you to assemble a tailored course made up of the modules that are the perfect fit for your business needs and deliver this training at your office.